A unique, lightweight modeling material for any project or age group. Create everything from masks to intricate dioramas with this clean and extremely pliable medium. Easy to paint and decorate with watercolor, tempera, acrylic, washable paint or markers. Air dries to a smooth, resilient finish. No oven or kiln firing necessary. AP certified non-toxic. 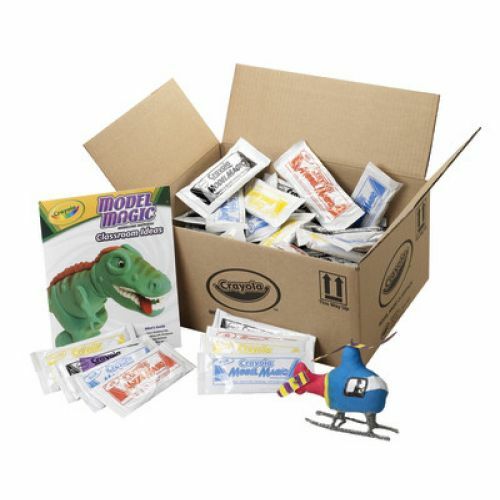 Includes 75 assorted 1 oz. packs: 21 white, 18 red, 18 yellow, and 18 blue.